I am currently hesitant about proclaiming a dislike for a software, because I have recently changed my mind on so many. For example, this post is being prepared on a laptop, which is powered by the Linux Mint operating system, rather than Windows. Open Source software is doing so well. Obviously, high end requirements need high end, and expensive, products. But for those of us working with semi-powerful products, Open Source softwares work well. At this level, as I don&apos;t need Photoshop, I find that GIMP performs just as well as PhotoPlus, or Paint Shop Pro. LibreOffice, in many ways, outperforms Microsoft Office. And I can&apos;t find a development IDE better than NetBeans. But I do need a desktop publisher. I used to use PagePlus on Windows – because I can&apos;t push myself to the expense of InDesign. Now PagePlus certainly has some problems, not the least of which is that I have never managed to install it on a single computer, without calling their customer service. The Serif installation scheme is clearly buggy. In any case, Serif are abandoning all their ***Plus products shortly for their new Affinity range – but the Affinity DTP is not due out until 2019, and, in any case, will probably not support Linux. All of which means there is Hobson&apos;s Choice with DTPs on Linux. There is Scribus. And the problem is that Scribus is so counter-intuitive. There seems to be nothing easy about using Scribus. One would like to add text boxes, and type into them, as into a Word Processor. You can&apos;t do it. Scribus&apos;s textboxes are so clunky. The lines do not naturally separate well, as you increase font size. In fact, it seems best not to type into Scribus at all, but to prepare the text in LibreOffice Write and copy and paste, or import. So are images any better? The answer is – No. You can&apos;t even place an image directly on to the page. You have to draw an image frame, then fill it with the required image. And this frame is a really hard to resize, in order to get the whole image to resize with the frame. Perhaps I need to spend time studying a book on Scribus, and I haven&apos;t set aside that time yet. But I have to say that instinctively, I do not like it. I really want to do three main tasks. I want to draw and type easily into text boxes. I want to link text boxes easily, by a mouse click, so that text flows from one to the other. And I want easy, responsive image manipulation. I don&apos;t get any of those properties easily – though all 3 are possible, with a lot of tough jiggery-pokery. Finished products in Scribus look okay – though no better than PagePlus. So 8/10 for finishing, but just 2/10 for ease of use. 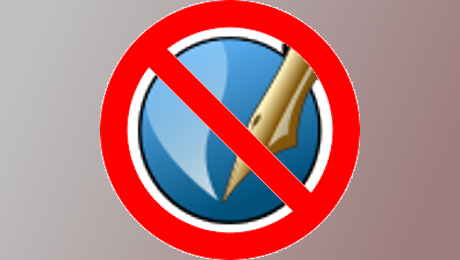 At the time of writing, Scribus does not cut the mustard.